As the Ultimate Fighting Championship is set to hit England’s capital of London on the most Irish of days, St Patrick’s Day, it announced that it would be making a trip to perhaps the most Irish of English cities. 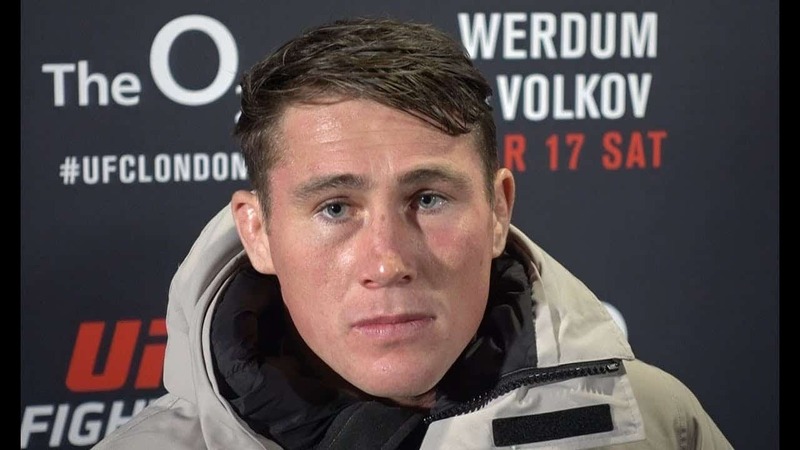 Till, a proud scouser and electrifying prospect for English fans to savor, will enter the Octagon in Liverpool on May 27 at UFC Fight Night 130 in the Echo Arena. While Till’s opponent is yet to be announced, fellow Brit Tom Breese will make his middleweight debut against Australia’s Daniel Kelly. Elias Theodorou will meet Trevor Smith, in one of the few bouts to have been confirmed. Till is currently 16-0-1 as a pro, with a 4-0-1 in the UFC. His knockout of Donald “Cowboy” Cerrone sent shockwaves throughout the MMA community, given his relative anonymity among fans. the prospect of Till being a force to be reckoned with is certainly being backed up in turn by the UFC, if this headline bout in Liverpool is anything to go by. “I’ve waited for this for many years. This has been a dream of mine for years, and I’m the person that’s doing it. No one else is doing it in my hometown,” Till said during a UFC Fight Night 127 scrum with reporters on Friday in London (via MMAWeekly). “I’ve done this for a long time,” Bisping said at the UFC London fan Q&A. “I started martial arts when I was eight years old. I’m almost 40 these days, which is kinda crazy. Me and Dan (Hardy) started training together back in 2003 in Nottingham, so we’ve been at this for a long, long time, and I’ve fought everyone, I’ve fought on every part of the world, every continent, all over the place.